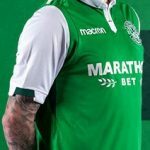 This is the new Hibs away top 15/16, Hibernian FC’s new alternate strip for the upcoming Scottish Premier League season. Made by Nike, the new Hibs away shirt was officially unveiled on July 13, 2015. 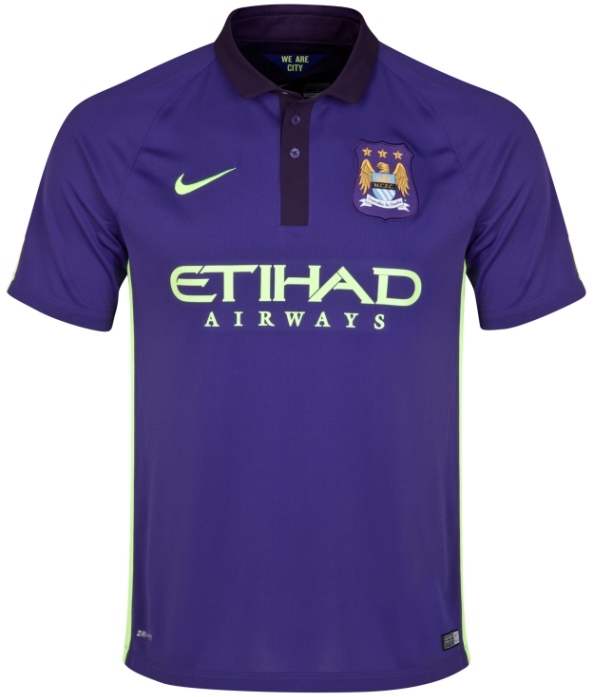 The shirt is purple in colour with green detailing, paired with purple shorts and socks. At first glance, the strip reminds one of two already released kits- Man City’s purple third number from the 14/15 season, and PSV Eindhoven’s last “farewell” kit from Nike before they switched to Umbro. Marathonbet are again sponsors for this Hibs away kit for 15/16. 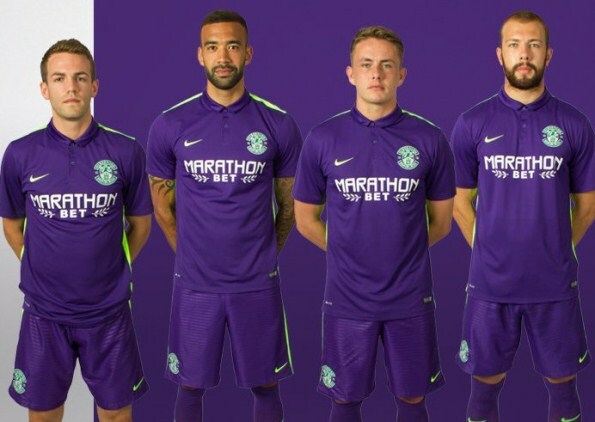 The strip will be first worn in Hibs’ upcoming game against Dunfermline, and is here seen modelled by the likes of Dan Carmichael, Liam Fontaine, Scott Allan and Jordon Forster. This entry was posted in SPFL/Scottish Premiership and tagged Nike on July 14, 2015 by Football Kit News. And yet another expensive polo shirt. Rubbish. You only say that for smaller clubs, yet when its a large club you like them ??? 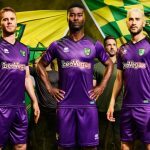 either a Purple , yellow or white away kit in my view as when I was kid I can never remember Hibernian haveing anything else. Still a template at the end of the day. The green trim makes it. Good stuff. The third shut be yelow flash!